Fettkakao is taking part in two seasonal markets this weekend. that’s why we have created this new pattern and format. Small bags with a zipper, in a size to fit in yr drawing tools or whatever smaller items you want to carry. strengthened on the inside to make sure it is keeping things together. We have used a few previous prints – like the primary color cube and the fried potato ones – but came up with a new one this week: waving hands for solidarity, sticking together. somekind of wishful thinking for the future, 2017 and beyond. It will premiere Saturday, December 17th at Size Matters with a literal Fettkakao (Hot Chocolate) made by Andi – plus also have it at the more complete booth (with Records and stuff) at Salon Schräg on Sunday (dec 18) as well! The items in various designs will be available from the homepage on this weekend as well. if you are in a hurry though – don’t hessitate to write an email (andi –at — fettkakao — doooot- — com) – some designs can ship from friday on. For Christmas, and a little bit after (New Years Eve), i have a very special offer you: all Compact Discs ever released on Fettkakao now for €15. This also includes the very rare Fettkakao Sampler 2011, only a few are left. 15 € + Postage (3,60 Europe, 6,30 World). please write me an email if interested! 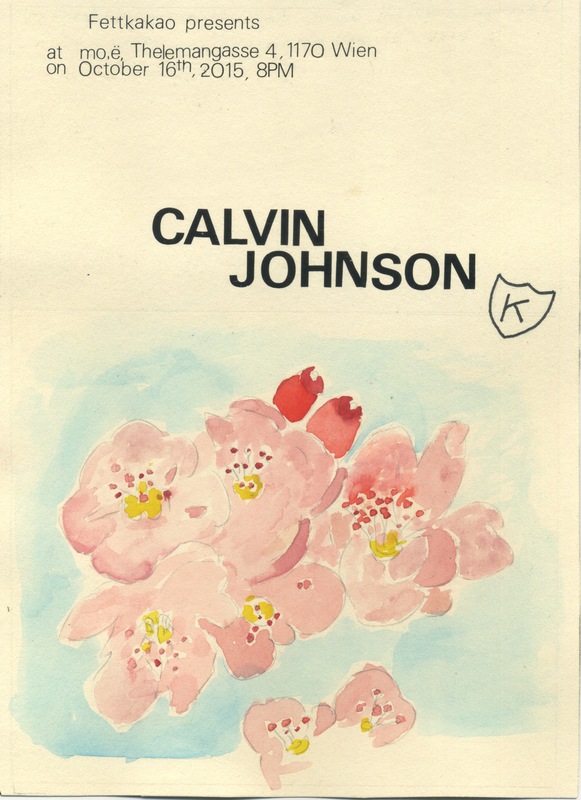 Calvin Johnson is touring at the very moment Europe again – this time under the moniker Selector Dub Narcotic. K released a CD two years ago with the title All You Friend’s Friends – where over 30 Pacific Northwest MC’s produced a Compilation with Samples from the (vast) K Records catalogue. On his last tour, Calvin Johnson has been showing the All Your Friend’s Friends Documentary, featuring the Hip Hop artistes from the compilation. His current record – This Party Is Just Getting Started was, in its major part, made in collaboration with Smoke M2D6 – who made all Beats on the aforementioned Compilation. You will find some familiar names on the Selector Dub Narcotic record as well- such as Ashley Eriksson (Lake), Chris Sutton (Hornet Leg, COCO) and Angelo Spencer among many others. Together with La Castanya, K Records has co-released the new LP by spanish artist Aries. Adieu or Die is a “Unique Excursion into electronic: pop full of shiny harmonies, explosive beats and shimmering sounds“. Both acts start their tour October 30, 2016, playing a show in Vienna November 3rd at the Celeste. hand tailored bags in a three colour range! colored in a washingmachine and hand tailored – you can now purchase the andi reenactment bags. they are not backpacks, as shown in the picture above, but more like tote bags. each bag comes with a unique pocket inside, which might remind you of past projects. these bags are available in different variations – please ask for your prefered combination. drop me a mail if you are interested! Friedl and Fettkakao are honoured to present you a Olivia Neutron-John show at the Rhiz in Vienna on the 8th of December. 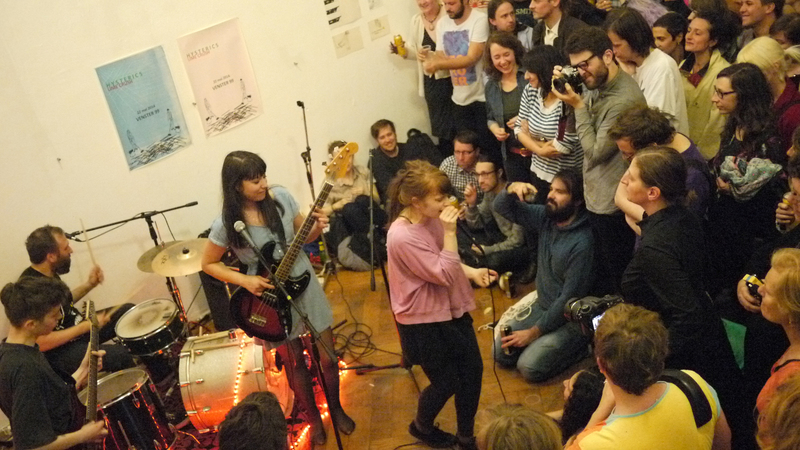 When Anna Nasty isn’t performing solo, they play guitar in a rock n roll outfit called Chain And The Gang! after the show, Friedl and Fettkakao will DJ into the Night!